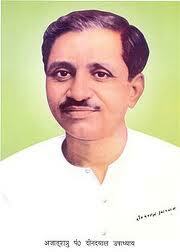 Pandit Deendayal Upadhyaya put forward the idea that every nation has certain ideals that constitute its soul. It is the responsibility of state to consolidate and build on these ideals, and to formulate policies for the larger welfare of citizenry inspired by them. All institutions in a nation, irrespective of their specific individual function, should help to sustain these ideals. Deendayalji stressed the educative and man-making role of institutions and advanced the idea of Gurukul and Rishikul as institutions that would serve national needs. Higher educational institutions, i.e. Indian universities, in his approach would be institutions catering to national needs and cherishing the noble ideals of our country. In sharp contrast to his dreams, is the contemporary scene in Indian universities. The last two years have seen controversies hit the campuses of elite universities that have become the epicenters of division, pitching anti-nationalism against nationalism. Agitations have turned university campuses into battlegrounds between nationalist and left wing forces. A section of pseudo-seculars have launched a steady campaign to tighten their control over universities and to vitiate the national mood. As a part of this, some JNU students expressed solidarity with Kashmiri separatists, and organised an event against the death sentence to Afzal Guru and Maqbool Bhatt terming it ‘judicial killing’. Vainly trying to make martyrs out of criminals, they raised slogans against the integrity of the country in the campus. Voices were heard from Jadavpur university in support of extremism and separatism. The unfortunate death of Rohit Vemula in HCU became an occasion to disrupt the national mood and to fan divisions between SCs and other sections of society. Of serious concern is the coming together of traditional left, ultra-left groups on campuses, with sections among minorities that are tuned in to sentiments across the border on a common platform. Even more regrettable was the support extended by intelligentsia outside campuses as well as by the opposition parties who hoped to gain political mileage at the cost of national interest. Politically motivated protest seems to have become the bedrock of secular thinking, and this has corrupted their sense of civic responsibility, patriotic feelings and devotion to the motherland. This has pitted them into conflict with nationalist unions. In Deendayalji’s approach, nationalism is an overarching concept welding together the diverse striving and pluralistic life styles of the manifold groups and segments of the country. It is a dharma, a cornerstone of national life. National unity is the keystone of national existence. There can be no compromise on something so fundamental in the name of accommodating dissent. A second guiding concept added by Deendayalji was that of ‘chiti’. According to McDougal, this is the innate nature of a group. Central and fundamental to the nation, known to some as the national genius, it is the soul of the nation, seeding its foundation in the ancient past, directing its evolution into the distant future. Whatever change, whatever reform is in consonance with the ‘chiti’, whatever diversity subserves it, can be accepted and accommodated. But any behaviour or change that disrupts it should be regarded as a perversion, undesirable and therefore discarded. Only from its soul, can come the flowering of the nation. Leftist rejection of national culture and tradition, in the name of ‘secularism’ is unfortunate, because by this they lose touch with the ‘chiti’, the soul of the nation. Even worse, they are left with no intrinsic standards to evaluate, filter and accept change. This is why, the positions that they take are increasingly influenced by predatory cultures and religions. In the theory of communism lie the seeds of its destruction. In approaching the current problems in Indian universities, the principles laid down by Deendayalji are of utmost importance. He regarded education as an investment and thought that a properly educated person would indeed serve society. For this to be realised, not only should students be fitted with tools and knowledge that empower them to serve themselves and society, but also with sentiments that bind them to national well being. Without emotional integration with the nation, mere knowledge alone cannot guarantee that individual ambition will be synchronised with the evolution of the national genius. This is why there should be no space in university for anti-national views. Campuses should cherish and foster love for the nation. Deendayalji’s views on Integral Humanism can inspire universities to become centre’s of man-making and nation building, and to serve national interests. This entry was posted in Hindutva, Nation, RSS and tagged Deendayal Upadhyaya, Hindutva, Indian Nationalism, Integral Humanism, RSS on February 13, 2017 by arisebharat.